Could a child’s birthday put him or her at risk for an ADHD misdiagnosis? The answer appears to be yes, at least among children born in August who start school in states where enrollment is cut off at a Sept. 1 birth date, according to a new study led by Harvard Medical School researchers. The rate of ADHD diagnoses among children has risen dramatically over the past 20 years. In 2016 alone, more than 5 percent of U.S. children were being actively treated with medication for ADHD. Experts believe the rise is fueled by a combination of factors, including a greater recognition of the disorder, a true rise in the incidence of the condition and, in some cases, improper diagnosis. The results of the new study underscore the notion that, at least in a subset of elementary school students, the diagnosis may be a factor of earlier school enrollment, the research team said. “Our findings suggest the possibility that large numbers of kids are being overdiagnosed and overtreated for ADHD because they happen to be relatively immature compared to their older classmates in the early years of elementary school,” said study lead author Timothy Layton, assistant professor of health care policy in the Blavatnik Institute at Harvard Medical School. Most states have arbitrary birth date cutoffs that determine which grade a child will be placed in and when they can start school. In states with a Sept. 1 cutoff, a child born on Aug. 31 will be nearly a full year younger on the first day of school than a classmate born on Sept. 1. At this age, Layton noted, the younger child might have a harder time sitting still and concentrating for long periods of time in class. That extra fidgeting may lead to a medical referral, Layton said, followed by diagnosis and treatment for ADHD. For example, the researchers said, what may be normal behavior in a boisterous 6-year-old could seem abnormal relative to the behavior of older peers in the same classroom. 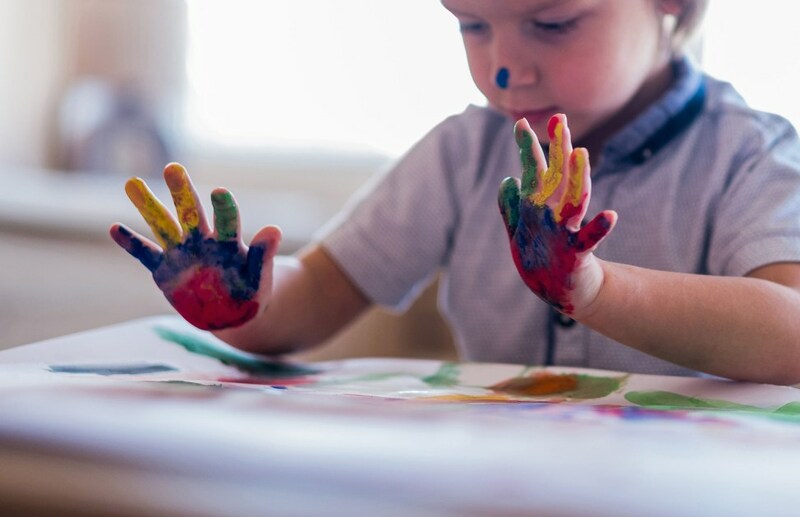 Using the records of a large insurance database, the investigators compared the difference in ADHD diagnosis by birth month — August versus September — among more than 407,000 elementary school children born between 2007 and 2009, who were followed until the end of 2015. In states that use Sept. 1 as a cutoff date for school enrollment, children born in August had a 30 percent greater chance of an ADHD diagnosis than children born in September, the analysis showed. No such differences were observed between children born in August and September in states with cutoff dates other than Sept. 1. For example, 85 of 10,000 students born in August were either diagnosed with or treated for ADHD, compared with 64 students of 10,000 born in September. When investigators looked at ADHD treatment only, the difference was also large — 53 of 10,000 students born in August received ADHD medication, compared with 40 of 10,000 for those born in September. Jena pointed to a similar phenomenon described in Malcolm Gladwell’s book “Outliers.” Canadian professional hockey players are much more likely to have been born early in the year, according to research cited in Gladwell’s book. Canadian youth hockey leagues use Jan. 1 as a cutoff date for age groups. In the formative early years of youth hockey, players born in the first few months of the year were older and more mature, and therefore likelier to be tracked into elite leagues, with better coaching, more time on the ice, and a more talented cohort of teammates. Over the years this cumulative advantage gave the relatively older players an edge over their younger competitors. Similarly, Jena noted, a 2017 working paper from the National Bureau of Economic Research suggested that children born just after the cutoff date for starting school tended to have better long-term educational performance than their relatively younger peers born later in the year. Research has shown wide variations in ADHD diagnosis and treatment across different regions in the U.S. ADHD diagnosis and treatment rates have also climbed dramatically over the last 20 years. In 2016 alone, more than 5 percent of all children in the U.S. were taking medication for ADHD, the authors noted. All of these factors have fueled concerns about ADHD overdiagnosis and overtreatment. Additonal co-authors include researchers from the Department of Health Care Policy, the National Bureau of Economic Research and the Department of Health Policy and Management, and Harvard T.H. Chan School of Public Health. This research was supported by the National Institutes of Health Office of the Director under grant 1DP5OD017897.